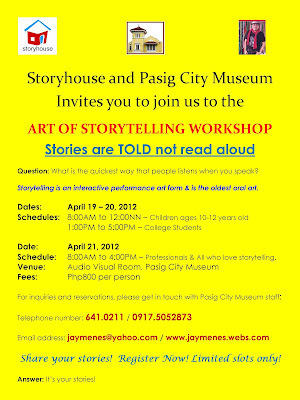 The founder of Storyhouse, Mr. Jay Menes, was my storytelling coach. He is a multi-talented artist who does hosting, singing, storytelling, directing short plays, facilitating workshops, acting on stage or on screen and an entrepreneur by heart. Thru him, I honed my talent in storytelling, which benefits my children as well as an advantage when I hosts kiddie parties. 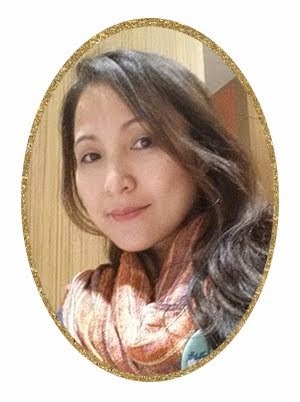 At times, children would call me teacher not Ms. Host because they love how I deliver the stories. 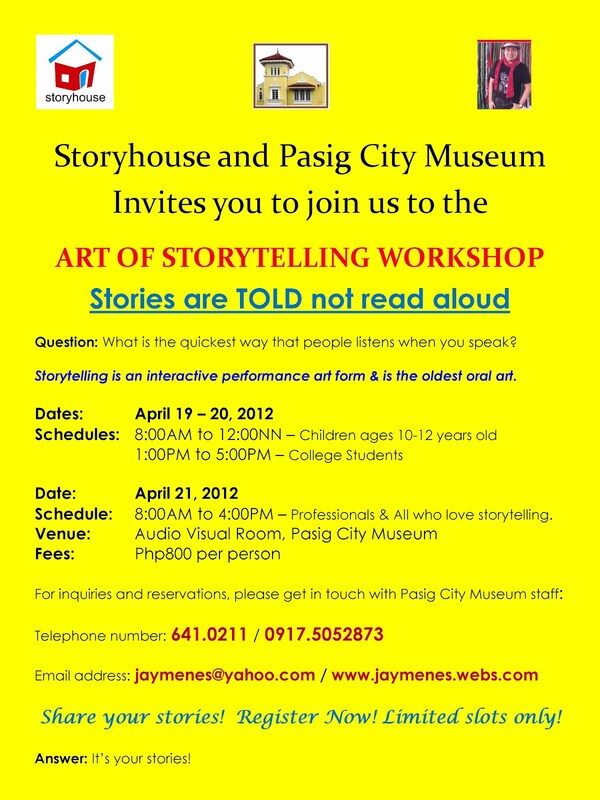 Whether you're a teller, an artist, a mother or a father the art of storytelling workshop offers an endless fun and excitement as you discover that there's a better way than just reading out loud. Wonderful Show at Club Mwah!